Developed by the team behind the cult-classic Far Cry Blood Dragon, the Far Cry 5 Season Pass is a real departure from the base game but is the DLC up to scratch? What’s inside the Season Pass? Once installed, all DLC is accessible from the main menu and can be played at any time. Far Cry 3 Classic Edition is a seperate game and download. This is a self contained experience. What does it add to the game? 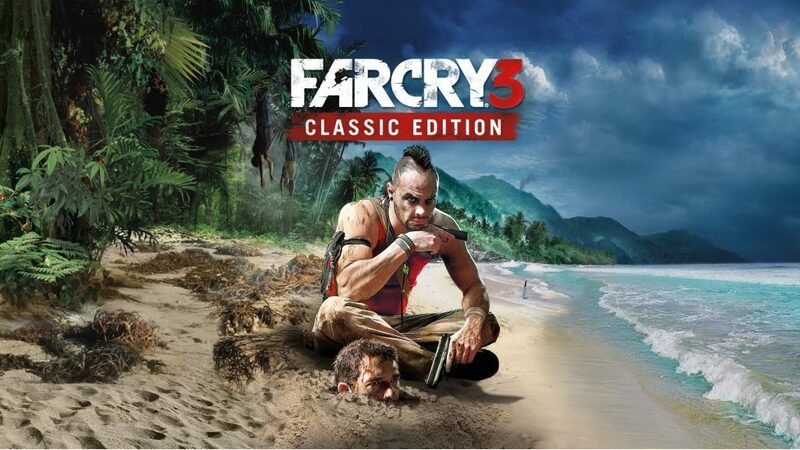 Far Cry 3 Classic Edition is an enhanced version of Far Cry 3 which has been added as a seperate download. It is a faithful recreation of the original game but with improved graphics and sound. 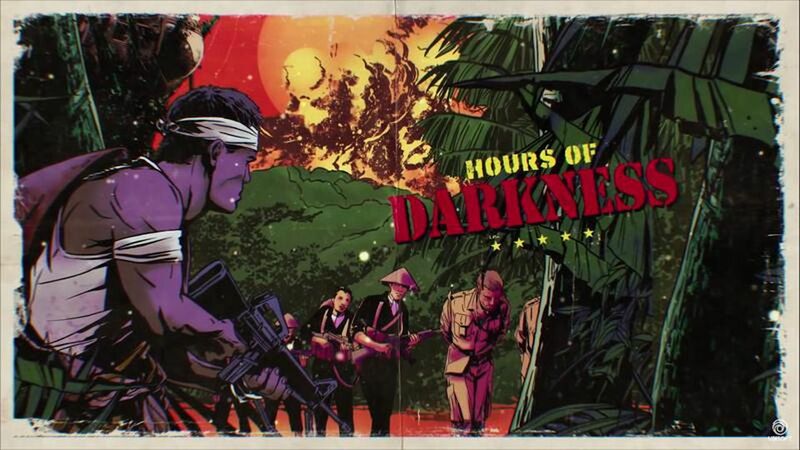 Hours of Darkness has some highlights – especially the game’s ending sequence which allows you to let off a bit of steam – and the map is a pretty substantial size with lots to see and do, but it all feels a bit bland. Ubisoft Shanghai’s efforts are enjoyable enough, but one just hopes that the bar of quality is raised even higher for Dead Living Zombies and Lost on Mars. For a Season Pass that looked set to break the mould of the series to try new things, Hours of Darkness mostly just plays it safe. Lost on Mars is a substantial improvement over Hours of Darkness in almost every conceivable way. It’s not Blood Dragon brilliant and it does have its flaws and weakness, but I certainly enjoyed my time in space more than I didn’t. This helps scratch that Blood Dragon sequel itch, at least for a little while longer. 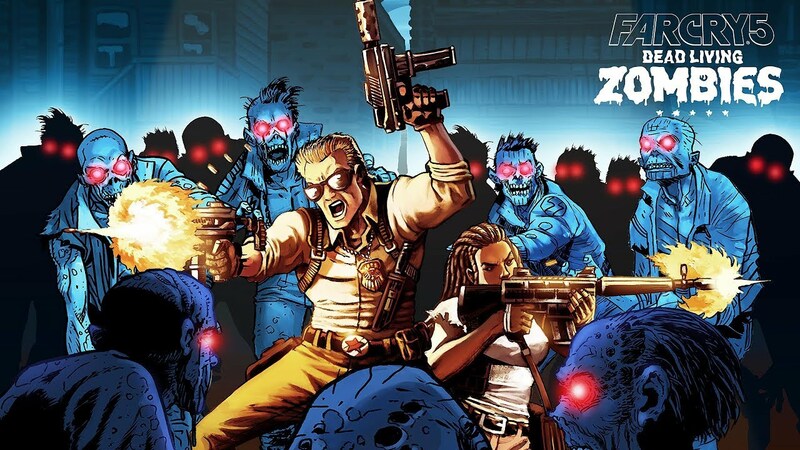 Dead Living Zombies is by no means terrible. In fact, it might even be the funniest DLC of the three with the witty backtalking, the ludicrous, over the top enemies and sequences that crop up, and the crazy weapon types like the Shovel Gun. But for every joke that landed, I spent more time grunting and growling about the gameplay. One day we’ll look back on the Far Cry 5 Season Pass and wonder what might have been. The potential was clear for all to see. The execution has left a lot to be desired. Far Cry 3 is one of the all-time great Far Cry titles. A shooter combined with exploration and puzzle-solving all in a rather luxurious, and equal measures intimidating setting. With one of the best written baddies in any game and a gripping story with thrilling set-pieces, Far Cry 3 holds up incredibly well on current-gen formats. The remaster won’t be to everyone’s tastes, but the game still looks, sounds, and plays great. If you’ve never played it before, the Season Pass is worth purchasing on its own. The DLC could, and should have been so much better. There are moments where it’s entertaining and it really does offer something significantly different from the base game with its various settings and self-contained narratives. The problem is, only one out of the three DLCs is even remotely memorable. Far Cry 3 Classic Edition is worth the price of the Season Pass alone, however. At its RRP, which is the same price of the Season Pass, you have one of the best games of last gen. And added to that at least twenty additional hours of Far Cry 5 gameplay boosts the action if you’re looking for your game to go a bit longer. As Season Passes go, however, it’s one of the weaker offerings for a AAA game. + Far Cry 3 Classic Edition is the same price as Season Pass and worth it alone. + Adds at least twenty + hours of gameplay, all diversified from the base game. – None of the DLC packs are particularly memorable.